Home Navigation PowerShell SharePoint Online SharePoint Online: How to Disable Quick Launch Bar using PowerShell? SharePoint Online: How to Disable Quick Launch Bar using PowerShell? How to Hide Quick Launch in SharePoint Online? Un-Check "Enable Quick Launch" and Click OK. 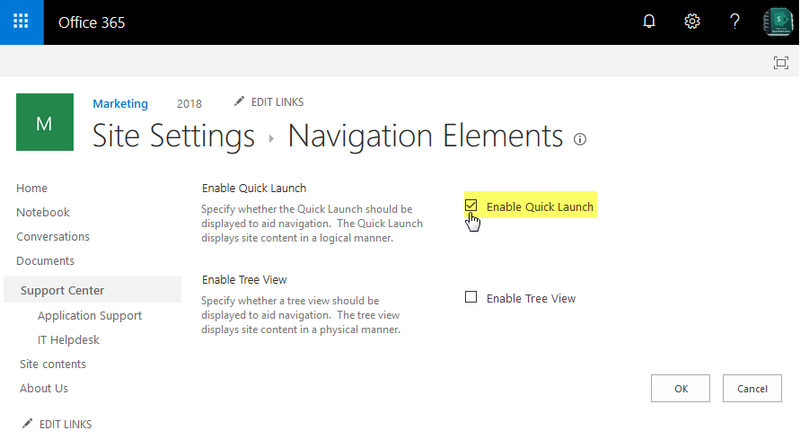 This removes quick launch in SharePoint Online. Write-host -f Green "Quick Launch Bar Disabled Successfully!"